You are here: Home / The Library / Colin Rose's Blog / Stop or even reverse ageing? Stop or even reverse ageing? IS SLOW AGEING REALLY POSSIBLE? Ageing is defined as an accumulation of various types of damage involving a series of biological mechanisms at the cell level. Unchecked, these normally lead to a diminishing of physical and cognitive health. Outwardly the indicators are greying hair, wrinkles, a reduction in stamina and maybe a thickening of the waist. Inwardly the ‘markers’ are increased susceptibility to heart disease, stroke, cancer and early dementia. But if ageing is driven by damage and biological mechanisms it should be possible to reduce that damage and modify those mechanisms. 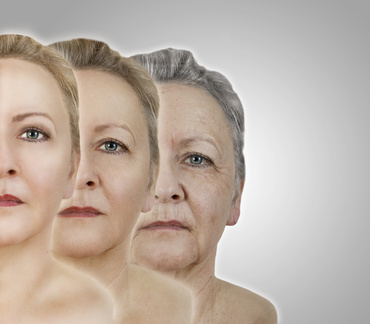 The latest science indicates that you can – and by doing so delay, and maybe even reverse, the effects of ageing. You can’t stop the clock – but you can significantly increase your chances of healthy ageing. It is true that if your parents were long-lived, you have an increased chance of living longer yourself. But is it ‘lucky genes’ or parents passing on healthy habits? Scientists at the Karolinska Institute found that female mice accumulated mutations in mitochondrial DNA from adverse environmental exposure and then passed those mutations on to their offspring. (Mitochondrial DNA is only passed on through the mother.) In other words, the environment changed the way genes were expressed. This process is called epigenetics. Your DNA accumulates damage over time from oxidative stress – excess free radical action. Anti-oxidant foods and supplements help counter this damage. The role of anti-oxidants in slowing the processes of ageing is further highlighted because an additional cause of DNA damage is the shortening of telomeres. 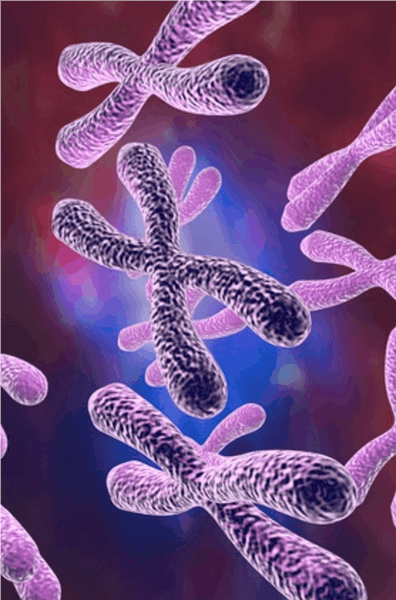 Telomeres are the little ‘caps’ at the end of each strand of DNA that protect our chromosomes – and chromosomes (shown here) are the tiny thread-like structures that contain all our genetic data. Telomeres reduce in length each time a cell divides. But when telomeres become too short, they are no longer able to protect the chromosomes, leaving them vulnerable to damage. That damage can lead to premature aging, decreased life expectancy and disease. Prevent or decrease the damage and you slow the mechanism behind ageing. In the words of the US National Institute on Ageing you gain years of ‘active life expectancy’ – the years where you are free of any illness or disability. The British Medical Journal reported on a study involving 4,676 people that showed that the ‘Mediterranean Diet’ has the effect of significantly reducing the rate at which telomeres become shorter – and indeed produced an actual increase in telomere length. The Mediterranean Diet features high intakes of fruits, nuts and vegetables, olive oil, regular fish, a glass of wine a day, is fairly low in saturated fats, and has low intakes of processed foods and especially refined sugar. We know that this type of diet is not only high in anti-oxidants but also anti-inflammatories – it reduces inflammation in body tissues, which builds up over time. Chronic inflammation is acknowledged to be a key driver of heart disease, stroke, and diabetes. Inflammation also creates an environment where cancers can spread more readily. More than 50% of people over the age of 60 have high blood pressure (often without knowing it). An anti-oxidant and anti-inflammatory rich diet also reduces blood pressure. Although overweight and salt intake are also factors, one key cause of high blood pressure is that blood vessels become less elastic over time and anti-inflammatory compounds help maintain vascular elasticity. There is now convincing evidence that inflammation and oxidation in the fatty tissue of the brain is strongly linked to Alzheimer’s, so an anti-inflammatory and anti-oxidant rich diet helps protects your mental sharpness. Over 40% of people over the age of 85 have some level of Alzheimer’s. 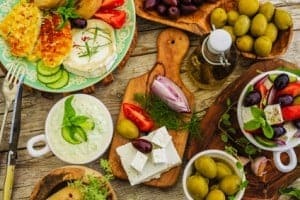 Crucially, the BMJ researchers noted that no one component of the Mediterranean diet was protective – it was the combination of foods, nutrients and other factors that produced the slower ageing mechanisms. For example, long lived people in the Mediterranean also have a higher level of regular physical activity as a normal part of their everyday lifestyle and are generally of a normal weight. Slow agers generally have stress levels that are lower than average. A study published in the Proceedings of the National Academy of Sciences showed that women with the highest levels of stress have shorter telomeres, because stress releases cortisol which in turn increases oxidative or free radical damage. Just compare the photographs of US presidents before and after their time in the White House! So we age for a combination of reasons. Indeed there are no less than 7 interlinked reasons why we age – and at least 7 corresponding actions that we can take to scientifically slow ageing and stay healthy. See them here now in a slideshow by clicking on the image below. The recommendations are your blueprint for healthy longevity. Dr Paul Clayton designed NutriShield as a comprehensive health supplement with OPTIMUM levels of essential nutrients, including ALL those mentioned above. See more detail elsewhere on this site or click on the button. Germline mitochondrial DNA mutations aggravate ageing and can impair brain development. Nonsteroidal anti-inflammatory agents differ in their ability to suppress NF-kappaB activation, inhibition of expression of cyclooxygenase-2 and cyclin D1, and abrogation of tumor cell proliferation. https://www.nutrishield.com/wp-content/uploads/2015/04/logo-1.png 0 0 Colin Rose https://www.nutrishield.com/wp-content/uploads/2015/04/logo-1.png Colin Rose2016-04-14 12:07:592016-11-22 15:55:36Stop or even reverse ageing? Deep-fried cancer risk offset by fruit and veg? Extraordinary health effects from curry spice Which part of your body should you protect?